Sandra has put a lot of thought into helping her daughter navigate that loss; part of the process means ensuring that Emme understands and feels connected to her cultural heritage. Today, the 10-year-old loves ballet, raising chickens, and playing the flute. She also has a deep understanding of and appreciation for China. As Sandra and I chatted, it became clear that, as in any aspect of parenting, connecting a child to his or her cultural heritage is a personal journey. Sandra stressed that there is no one-size-fits-all approach. But some universal truths emerged from our conversation—truths that may prove helpful, depending on the specifics of your own journey. Don’t: Put the art in just your child’s room. Elevating the art of your child’s culture of origin throughout the home communicates the message: this is part of who we are. Do: Be cognizant and offer options. For Emme, a deep love of music and ballet trump some cultural connections her mom has suggested. “We do things [to promote cultural enrichment], but it’s not the only thing in her life,” Sandra explains. The key, she says, is to identify and offer alternatives to keep that relationship going. Your child might be uninterested in a camp experience along the lines of what’s offered by organizations such as Heritage Camps for Adopted Families, Inc., but might jump at the chance to attend the bachata concert you heard about. Above all, stay flexible and open because the options will change as your child grows. Early on, toys can be a great way to promote connection. (And, as Sandra says, “Please buy a baby doll that looks like your kid. 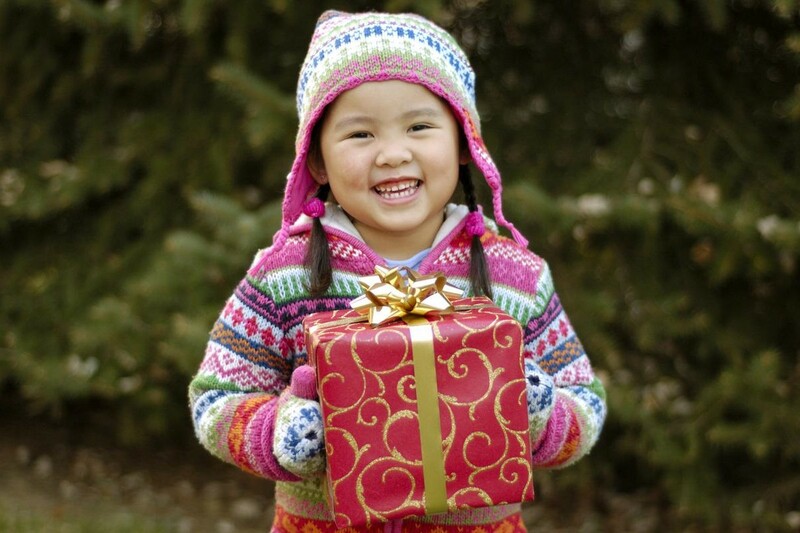 Every child has the right to look at a baby and know that the baby looks like them.”) Some traditions endure: for example, Sandra and her daughter celebrate Family Day (the day Emme’s adoption was finalized) every year by buying each other ornaments and decorating their Christmas tree together. Other traditions have morphed with time. The first time Sandra and Emme celebrated the Mid-Autumn Festival, a harvest festival traditionally held on the 15th day of the eighth month in the Chinese Han calendar, they bought Chinese pastries filled with different kinds of paste. They took the pastries outside and watched the full moon together, which was fun, though they discovered that they aren’t exactly fans of red bean paste. So in subsequent years they have baked sugar cookies, instead, frosting them yellow like the moon. Don’t: Let life get in the way of maintaining that cultural connection. As Sandra says, “Families often do a lot about birth culture when kids are young; then kids get older and you get too busy.” Identity issues arise in many teens, whether adopted or not; maintaining your child’s connection to her birth culture can help ease the inevitable transition from child to adult. Don’t: Tell your child something about her adoption story that you will have to take back. Never lie, ever. And don’t pile on too much, too soon. Know your child: where your child is developmentally and what he or she can understand and handle. Do: Understand that life—and external circumstances—will sometimes force your hand. Sandra planned to eventually talk with Emme about how Emme’s birth date was assigned by a doctor who had made a best guess. But a third-grade classmate made mean-spirited comments and forced the issue before it came up naturally at home. Sandra rose to the occasion—and so did Emme. Mother and daughter talked about Emme’s questions and concerns, and brainstormed how to handle the bully at school. Don’t: Bad-mouth the country of origin. Don’t put it down. Ever. Don’t: Be discouraged if racial diversity is not part of your everyday experience. Sandra notes that because she and Emme live in an urban environment, diversity is easier to seek out. But she offers the encouragement that no matter where you live, resources exist for transracial families. Sandra highly recommends a subscription to the magazine Adoptive Families, and books such as Myra Alperson’s Dim Sum, Bagels, and Grits: A Sourcebook for Multicultural Families (Farrar, Straus and Giroux, 2001). She also mentions the book Cross-Cultural Adoption: How to Answer Questions from Family, Friends, and Community (Regnery Publishing, 2013), by Caryn Abramowitz and Amy Coughlin, which addresses the fact that sometimes even well-meaning people ask insensitive or clueless questions. Sandra has found answers and guidance in its pages. Another source of connection? Travel groups. Sandra was part of a group when she traveled to China to adopt Emme, and those families have stayed connected, getting together annually, though they live in different parts of the United States. The group has proved to be a source of support, sharing, and camaraderie. “Like any friendship, the more you know each other, the more you can talk about things,” Sandra says. “It gives a normalcy to adoption. The girls look around at each other, and what do you know, everyone’s Asian!” She also mentions family camps for adoptive families. Offered by organizations such as Pact and the aforementioned Heritage Camps, the camps provide kids and their families an experience where they can explore issues of adoption, race, and family; and, in some cases, become immersed in an adoptee’s birth culture.